Start-up Marketing strategies are activities in the field of marketing to analyze the startup position of a business and developing market-oriented policies to achieve the goal of the company towards the sales of its product or services. 1. FOCUS ON YOUR TARGET AUDIENCE. Start with a focus on your targeted audience, then broaden your marketing later. 2. USE SOCIAL MEDIA IN THE STARTUP MARKETING. Social media marketing is not always free but it is always cheaper. It also provides a direct interaction with your potential customers’ facility. 3. LISTEN TO THE FEEDBACK. Always pay attention to the feedback of your potential customers on social media. Respond to queries of people on social media who want to know about your product. Look for people who want to buy your product. 4. USE CREATIVE IDEAS FOR MARKETING. Promote your offer in a creative way. No need to bombard messages to consumers to keep reminding them of your products. A creative message or video to advertise your product on social media will be liked by many. It will be spread to friends and family of consumers who like your creative message/video on social media. 5. DO NOT DELAY IN MARKETING. Keeping your product a secret for too long and delaying marketing until it is launched does not help in the sale of the product. Start marketing the product in a creative way as soon as the marketing plan is ready. 6. PEOPLE ALWAYS BUY THE BENEFIT. People do not go for a product which is slightly better or different. People will like it for the benefits it provides. Remember this technique in the start-up marketing. 7. DEVELOP AN INNOVATIVE MARKETING STRATEGY. Your start-up marketing strategy should be unique and innovative. For example, in a start-up marketing strategy of a food product, let the potential customers taste your product. 8. DO HOMEWORK ON YOUR MARKETING PLAN. You should be clear about your audience in the start-up and thoroughly work on the marketing plan before implementing it. 9. MARKETING FIRST, PRODUCT SECOND. Do not wait for the product to be launched. Start doing it’s marketing straight away before it is launched. It will attract more customers when it is introduced into the market. 10. TEST YOUR MARKETING IDEAS IN SMALL EXPERIMENTS. Get to know the customers’ feedback. 11. DO NOT FOCUS ON JUST SELLING YOUR PRODUCT RIGHT AWAY. Get to know how much your target audience is satisfied and your sale will be automatically improved. 12. APPROACH YOUR CUSTOMERS WHENEVER POSSIBLE. Know when you can possibly connect with your customers. First, know who your customers are, where they hang out, on social media or in superstores or wherever possible, how to approach them, and how to make them feel that they are the main focus. 13. AIM FOR REPEAT BUSINESS. If you give discounts to your customers during the holiday season, they will come back to you again. 14. FOCUS ON EXISTING CUSTOMERS. When making new customers, never forget your existing customers. They are the reason behind your business so far. 15. DEVELOP MARKETING GOALS. Then start working on how to achieve your goals. Nothing can be done properly without setting aims and goals. 16. GIVE OUT FREE SAMPLES OR SMALL GIFTS. This strategy is ideal for start-up marketing for an unfamiliar or an unrecognized brand. If you have launched a face cream, try giving free samples to your potential customers such as girls and women. 17. GROW OPINION ABOUT YOUR PRODUCT. This can be done through weekly magazines, blogs, or other written pieces. 18. YOUR START-UP MARKETING BEGINS WITH CUSTOMERS AND ENDS WITH CUSTOMERS. Input their voices in your product presentation. Know about their expectations. Develop your product according to their needs. 19. USE YOUR PR FOR ESTABLISHING YOUR BRAND. Your PR can spread your word for free. 20. STAY UP TO DATE ON STARTUP MARKETING TRENDS. Learn from other’s mistakes. 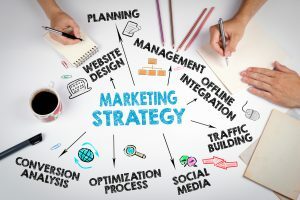 Start-up marketing strategies are useful techniques and plans that must be used for marketing of a new product or service. Using the above mentioned strategies will definitely be helpful in attracting customers of your business. But first of all, know your target audience and work to their satisfaction.